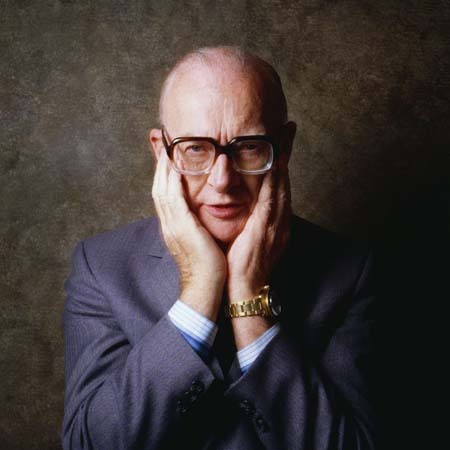 Arthur C. Clarke, the legendary science fiction author, formulated three scientific laws over his lifetime. Apparently he stopped at three on the basis that three laws had been good enough for Newton. His first law suggests that when a distinguished but elderly scientist states that something is possible, he is almost certainly right, when he states that something is impossible, he is very probably wrong. While the second maintains that the only way of discovering the limits of the possible is to venture a little way past them into the impossible. But it is his third law that is by far the most interesting and celebrated as it states that any technology that is sufficiently advanced is indistinguishable from magic. On any technological journey there are moments when what suddenly becomes possible is so extraordinary that an invention or innovation is indeed indistinguishable from magic and is capable of inspiring the same awe and delight. That was surely the case when farm workers first saw Stephenson’s rocket dashing through the English countryside at all of 24 miles an hour. Or the first telephone call people experienced, the first television broadcast they saw or when they were first able to phone people from trains that by now were traveling a little faster. In the early days of Sky+ a customer told me that that the product simply defied the laws of physics and that’s exactly how pausing live television felt, akin to witchcraft. Of course in time the things that once thrilled and delighted us become part of the fabric of our lives, indispensable but less inspirational. Perhaps this explains the enduring success of Apple, just as a piece of their technology becomes a bit ho-hum and commonplace they perform another piece of magic that raises the collective pulse and the value of their stock simultaneously. Today smart-phones are on the cusp of moving from magical to indispensable and there are important implications for brands developing applications for these devices. It is the culture of applications that has catapulted mobile devices back into the relm of witchcraft, applications that have fundamentally changed the role mobile techonology plays in our lives from monitoring our sleep cycles and to showing us where our train is on the track so we know whether we have time to catch it. Applications that actually make our lives work better. Unfortunately not all brands seem to understand this. Too many brand owners still see i-phone apps as brand froth, something that shows that the brand ‘gets it’ rather than a way to help to make people’s experience of that brand better. As a Barclaycard customer nothing winds me up more than the fact that their smart-phone presence is limited to a silly little waterslide game designed to make their advertising more famous when actually I want to interact with my card account through my i-phone, Nat West customers can and so why can’t I? It is precisely the powerful new roles that smart phones play in our lives that makes this unacceptable, it means we expect brands to have a meaningful presence on our smart-phones and are disappointed and even angry when this isn’t the case. An anger towards brands with non-existant or superficial applications I call ‘appoplexy’. Of course creating proper apps rather than games takes far more time and investment since these are product and service extensions but as the once impossible becomes commonplace brands that don’t understand Clarke’s three laws are not only missing out on inspiring awe an delight in their customers but run a real risk of failing their most basic expectations of that brand. Completely agree – the central role of phones in our lives means the smartphone is best positioned to help us meet our needs – whether a benefit (communication/information sourcing etc) or a saving (time, money or effort). I’ve never thought about it before…but the way Apple employs hand gestures in it’s new user interfaces reminds me of the way kids play at being magicians. Following your lead, perhaps the opposite of ‘appoplexy’ should be ‘ appracardabra’?